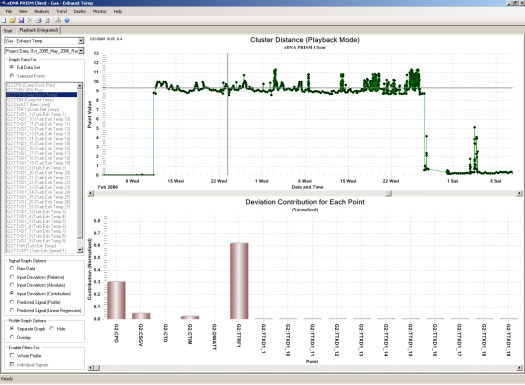 InStep’s PRiSM software is a predictive analytics platform for continuous real-time asset performance monitoring. PRiSM uses predictive algorithms to identify subtle changes in system behavior that are often the early warning signs of equipment performance and health problems. The software can use all existing equipment sensors integrated with historian or plant control and monitoring systems and is not limited to specific types or manufacturers of equipment. The early identification of equipment problems leads to reduced maintenance costs and increased availability, reliability, production quality and capacity. 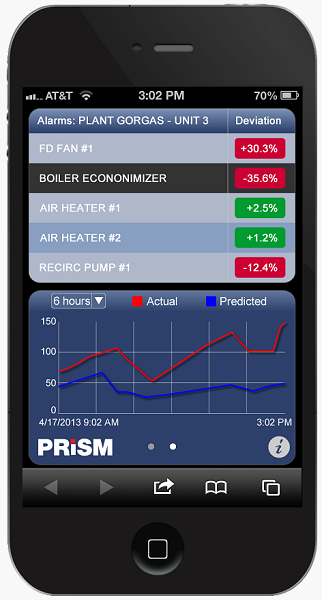 The PRiSM Client is a Microsoft® Windows®-based application for asset performance monitoring. PRiSM provides users with an intuitive-interface for developing, training and deploying equipment models. The software solution also provides alert notifications when the equimpent has stepped outside normal operation. 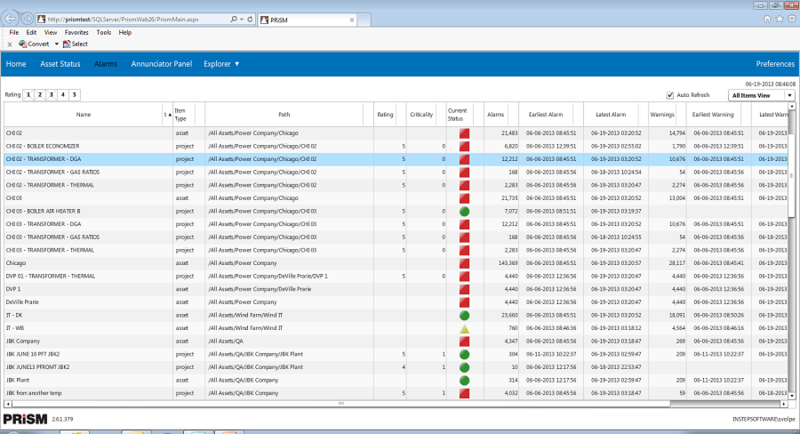 PRiSM Client supports the ability to connect to most industry standard data historians or control systems for simplified model development. Advanced analytical tools are included for problem identification and analysis. The PRiSM Web solution is a Microsoft® Windows® web-based application for displaying, managing and interacting with alerts generated by PRiSM asset performance monitoring software. PRiSM Web organizes alerts in a configurable hierarchy allowing users to identify systems that may need further investigation and then view the individual components of the alert for detailed information and further analysis. The PRiSM Transient Analysis module lets operators compare data during transient events over time for a unit of equipment and correlate that with data from other points while accounting for factors, such as ambient temperature, to identify performance deterioration. 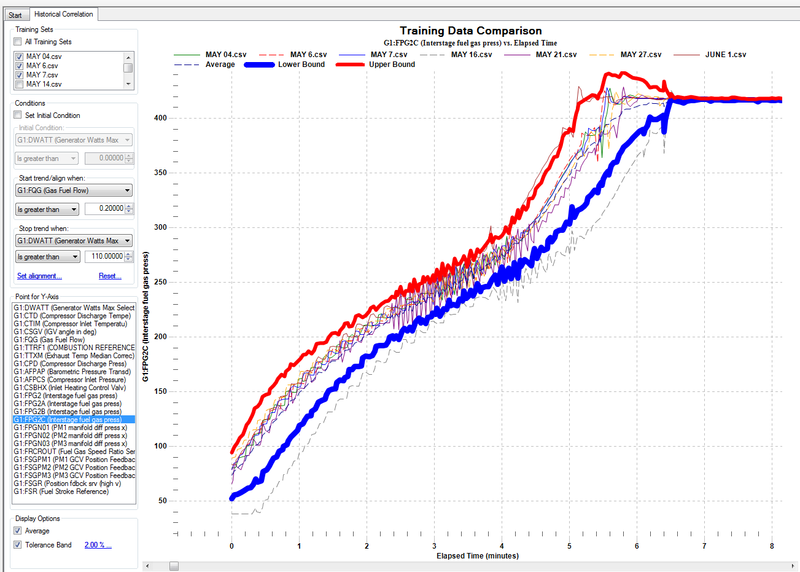 The PRiSM Transient Analysis module performs analysis at high-speed (e.g., every second) during transient conditions, conserving IT resources. During stable, non-transient states, the module monitors point data at lower resolution (e.g., every five minutes). When PRiSM detects a transient event it retrieves the high-resolution data from the data historian, runs the model analytics and sends alarm notifications, if needed. PRiSM continues doing this until the system leaves the transient state again. The module allows the creation of additional models designed to run during transient conditions. These models run in parallel with other models as part of the overall PRiSM system. The PRiSM Transient Analysis module can be used to specify one or more conditions that indicate the start and end of the different transients. PRiSM uses these conditions to check for state transitions on the equipment and to perform high-speed data analysis during those transient time frames. The module enables the user to create a unique calculated point for tracking the elapsed time as part of the equipment transient project. This point records the length of time that the equipment spends in a transient state. Reviewing elapsed time is extremely useful when analyzing historic transient data. The elapsed time point is automatically calculated and requires no manual input or setup. Although, like any point and like the transient state itself, its parameters are configurable. InStep’s PRiSM mobile solution allows users to monitor the performance of critical assets on-the-go from a smartphone or tablet. The mobile solution provides access to current system information, trends and alerts.